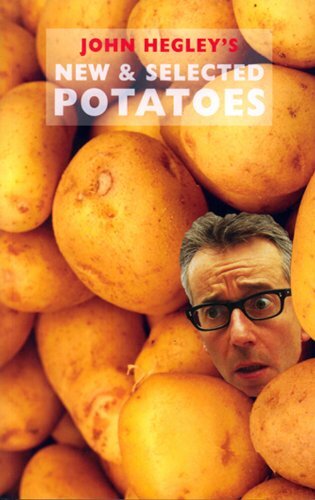 I have to admit a soft spot for John Hegley. Years ago he visited my eldest son’s primary school and got him hooked on poetry: now he’s a poet, editor, translator and advocate for writing and I’m sure it’s in part at least due to that enthusiastic encounter. New & Selected Potatoes is full of delights and offers us the scenic route around Hegley’s world, from 1984 to his most recent work. Some of it is laugh-out-loud and he is a magician of titles (referring to the much-maligned “brother-in-law”, as in ‘His Heart’s In The Wrong Place, It Should Be In The Dustbin’) but there’s also a quiet, wry sadness which lingers in the mind after reading: the effect of going through this volume at one sitting is of sucking sherbert lemon with its contradictory pleasures of shock and sweetness. There’s also a sense of sharing real time with Hegley’s voice in its conversational, seemingly random unfoldings, as if you were sitting together over a coffee. Yet that guilelessness is underpinned with an acute and astute feel for language and a razor-sharp intelligence. Michael Horovitz, on the back of the book, calls John Hegley “metaphysical, mordant, mellifluous”: he is all of these and more. Having read it dutifully from the beginning I then enjoyed reading this selection backwards, too, in a chronological fashion. of the purity of the stars. I find myself chained to the past. save that of touching me. Other poems of note show Whale has an eye for oddities and curiosa. In ‘Bird, Bird’ we see the prey of an owl, a swallow, nesting in the dead and dried body of an owl hanging in a barn. In ‘Bird Book’ we see how a poem can be raised above ordinary observation with only one phrase or sentence: “my favourite birdsong/ heard only in books”. Certain poems convince the reader less and seem to try too hard, such as ‘Tattoo’ where the ashes of the dead are tattooed into the arms of the living and the poem ends on the half-jokey, half-creepy lines from The Carpenter’s “Just like me/ They long to be / Close to you”. In a poem such as this, I felt Whale was straying too far from one of the “to-dos” on ‘The Great Artist’s To-Do List’ – “get the exact measurement of the dead”. Bottled air: more wasteful than bottled water. Breathe in, breathe out… We take in the world and put it out again differently, whether as art or anecdote, CO2 or rubbish. plenty of space. But it is a kind of idea, out there. Here, things are so heartbreakingly material. That’s over half the poem, to illustrate Klaces’ associative style. He mixes stuff up: ideas and things, imagination and reality, weird and unweird, real and virtual globalisation, modern and ancient, far and near. Stuff comes at us from all sides… so why read this book? Klaces’ mortar is his poetic fluency. Flexible, fluid rhythm, and line breaks that place the emphasis right. Syntax that delivers a one-and-a-half page one-sentence poem (‘Vapours’) and is often refreshingly unusual (e.g. ‘My Line I’). Idiosyncratic thoughts and turns of phrase as if he’s trying out sounds like lumpy sweets. Nice tricks, see those bags: “plastic.. snap.. have.. crackles.. nappy”. Tone, poised between amusement and anguish, see that line containing “heartbreakingly”; content a mix of funny and serious. that made her only click and growl? Subject matter overwhelms the poetic devices, and the poem reads as chopped-up prose. There had been no cats in The Histories before. 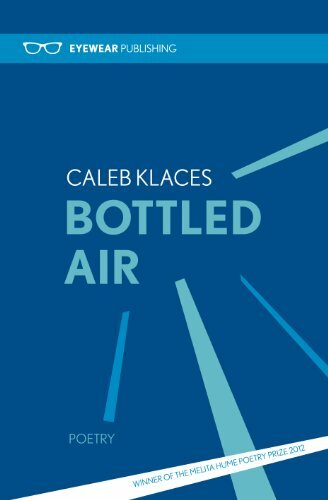 Bottled Air feels very substantial, as a (first) collection. Many poems benefit from being read singly, despite the multiple connections. The book should come loose-leaf, so one could isolate a few pages and catch their hidden cats. 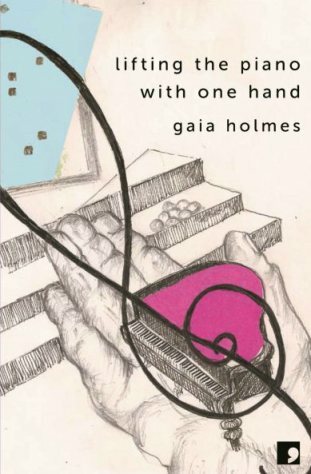 Though Holmes peppers her poems with prayers and icons, she avoids dryly critiquing patriarchal religion, choosing instead to expose it in human relationships. In section two, Visitations, the spiritual manipulation perpetrated by a lover is further evoked in poems such as ‘Rough’, ‘The Guest’, ‘The Man Who Dripped Digitalis’ (‘He could charm the poison out of foxgloves / and used his skills to quicken my pulse. / I wondered what he fed on, frayed liturgies / and the secret dreams of women’) and ‘The Glass House’ (‘Later I will remember / the languid names of plants / that kill with sweetness: / Nepenthes, Pinguicula, Saracenia.’). These poems explore self, family, home and home-sickness, death and grief, friendship, love, and love gone sour. They generally avoid difficult obscurity, and freely entertain common idiom and cliché. For me, this admirable accessibility occasionally lessens the impact of more original moments (‘Murdering my Darlings’ predictably subverts the old workshop adage, and ‘Someone Should Tell her Mother she’s Taking Drugs’ catalogues the clichés of the ‘creative life’ from a nosy neighbour’s perspective). But the best of Holmes’ observations have a warmth and humanity that makes the strangest, funniest, most moving moments stand out. The universe of this collection can seem a strange and baffling place which is yet recognisable, though not always in ways I might have expected. 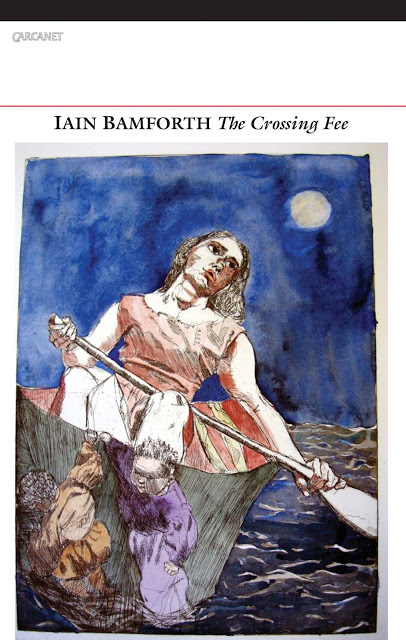 Some aspects of The Crossing Fee are immediately recognisable. There are the names of places we know about or might have been in – Shetland, Holland, Egypt, Mexico, Turin – and characters with whom we might be familiar – Luther, Ruskin, Simone Weil, Goethe – but the familiarity is turned by Bamforth’s sideways take on history and place. He can tilt a house in the Var into a Roman villa “in earshot of the river’s/ gluttonous way with sucking-stones”. He can transform midsummer on Shetland into a place where “data overburden is only an echo away, like the Atlantic heave/ and the piped-in petrochemicals of the polar night.” And this is when I find the defamiliarisation itself is recognisable, even oddly comforting. I wonder, is this Bamforth’s physician’s eye, looking for pathologies and imperfections, and accepting them? There is certainly empathy at work, and an interest in oddity and difference. The many cultural and literary references in this collection put me off a bit to start with, and made me feel intellectually inadequate. 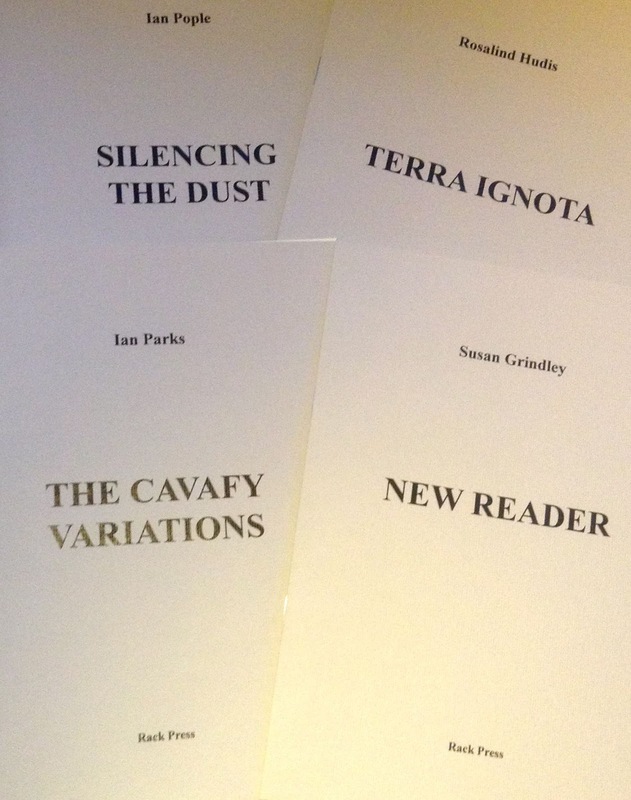 On second reading though, I found the references less daunting – I began to read them as part of the character of the places, and of the poems themselves. These references began to seem like the clothing that the bodies of the poems are wearing. Some poems are dressed extravagantly, others more plainly. The range is intriguing and witty, and the references always allow for the possibility of finding out more, of course. The Crossing Fee presents a closely observed world made up of ailing parts, or at least of imperfect physical mechanisms. The whole of creation, it seems, is a body, a patient. Multiple meditations on hunger and appetite are woven through the collection. Is the poet suggesting that exploring the workings of possible divine and human needs might help us uncover what fuels life itself? 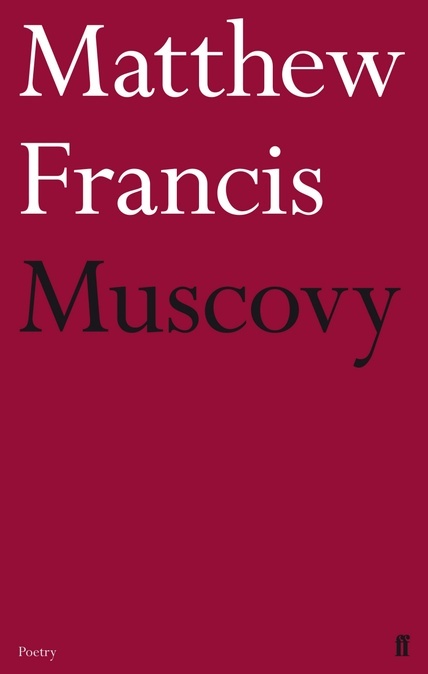 I ought to start this review with a declaration of my prejudice: before reading Muscovy I was already a fan of Francis’ poetry. A year ago I published the book’s opening – and very fine – poem, ‘The Man in the Moon’ (based on Francis Godwin’s story of the same title, in which the narrator flies to the moon using a geese-powered shuttle) in Where Rockets Burn Through, an anthology of contemporary UK sci-fi poems. So, I had high expectations and, happily, Muscovy didn’t disappoint. Francis’ use of a direct address to the reader lured me into the story. As with many of these poems, I felt as though I had become an active participant, that I too were a part of the story and community he has undressed. This technique is invoked several times to great effect without it becoming tiresome, and the frequent merger of the real and the unreal led me to consider the nature of perception itself, to ask what role myths, rumours and stories might play in altering my perception of reality. on the black screen of space. Francis’ approach could be accused of being overly fragmented but this would be missing the point. Just as the different parts of a stained glass window give colour to the sunlight blazing through it, so it is through a breadth of form, landscapes, languages, and experiences that these poetic parts reconstruct to challenge our perception of the whole. Moreover, I was excited to turn the page, and that’s no bad thing. “Beyond here be dragons” is the expression I’m more familiar with than terra ignota or terra incognito. Our lives are mapped out for us—at least that’s how it seems sometimes—then the unexpected happens and we find ourselves gazing out over Shakespeare’s undiscovered country, expecting, ailing or facing death. This is where these poems are set. In the first three: a man has leukaemia, his son is wheelchair-bound, an old woman’s crippled by senility and grief and a father’s died after a long illness; the last three trace the life of a Down’s syndrome child—“a chromosome too many,/ a glitch in the smooth/ running chain” —from her conception to becoming a Friends-obsessed young girl. to open or close the tap of speech. None of the poems in this set are available online but Snowscape and Photograph especially will give you a taste of Rosalind’s style. Poetry’s a strange place, a land to get lost in—in good ways and bad—and so it’s the perfect setting for a discussion of uncomfortable topics like illness and death. Textbooks and leaflets—like the one she’s handed in ‘Disclosure’—list “the defects” but they don’t see, can’t see, the individuals. These poems do. Even if most of the characters remain nameless we recognise them; we know them. They may have set off for parts unknown but they’re not foreigners. They’re us and some day we will be them. A thought-provoking and touching collection.